MauritiusHotels is the No. 1 platform for hotel bookings in Mauritius. Our company and website focus on catering for the very best hotel deals and accommodation packages in Mauritius, guaranteeing maximum value for our customers. Over the years, not only has MauritiusHotels built an exclusive portfolio of the best hotels in Mauritius, but we also offer unique privilege service packages at the lowest price in Mauritius, under our strict Best Price Guarantee policy. We guarantee that you will always get the lowest possible price when booking any of the hotels via our website. You will simply not find any of these amazing and exclusive offers via any other website, agent or tour operator. Not sure which hotel is most suitable for you? Want to know what are the best deals and promotions currently on offer? Our team of local experts knows better than anyone the ins and outs of the local hotel industry, and will provide you with the most valuable advices and tips to help you choose your hotel accommodation. While many global websites simply list all hotels in Mauritius, we carefully handpicked the best hotels ranging from international chains and all-inclusive resorts to local favorites and bed & breakfast. Our exclusive list allows our clients to benefit from the finest hotel experience, top customer service and highest value for money to book the perfect stay. As a reputable and well established company in Mauritius, you are sure to benefit from full assistance and guidance throughout your holiday in Mauritius. For any question, request for assistance and no matter what circumstance may arise, you need not to worry at all, knowing that you have us as your local partner to provide all the assistance you might need. We are passionate to be the best in what we do. Our travel experts are dedicated to cater every request, by providing you with personalized assistance in finding the most suitable hotel for you as per your budget, preferences and wishes. We are committed to your satisfaction, purely out of passion to provide the best customer service experience possible. We guarantee the most secure online booking system where your credit card and personal information are encrypted to maximum security. Online payments are processed through the highest security standards of 128-bit payment encryption and SSL certification, complying with the PCI DSS standards. MauritiusHotels is a subsidiary of the reputable ABZ Group, the leading tourism group in Mauritius. The ABZ Group caters for many thousands of customers every month, having already many millions of satisfied customers since establishment. We always make sure to cater for everyone by offering tour options - from cheap and affordable to luxury. MauritiusHotels provides hotel accommodation packages for everyone: singles, couples, families, corporate visitors, groups, of all origins and ages. There's hotel package for everyone; from the adventurous who want to get off the beaten track and experience the extreme adventures Mauritius has to offer, to those who prefer to enjoy a laid back luxury vacation in Mauritius with top class facilities! Our priority is to satisfy every customer, every time, with our outstanding service and through the extensive range of hotel offers in Mauritius. We are dedicated to the customer experience and are constantly evaluating how we can improve our services. We always seek to understand our customers’ needs and provide them with timely, accurate, quality service. All initiatives we undertake, hotels we offer and services we provide, are aligned with increasing value to our customers. 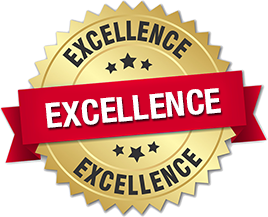 We constantly strive to improve the quality and effectiveness of our products and services. We innovate and welcome changes, continually increasing our standards of quality and services to clients. We value our customers' feedbacks and implement them in the ongoing process of improving our website and service.